The common housecat is a peculiar creature and, therefore, becomes the subject of many a myth. He may love you one day and the next will be completely indifferent to your presence. Apparently, many cat-myths got their start in either folklore or pop culture. 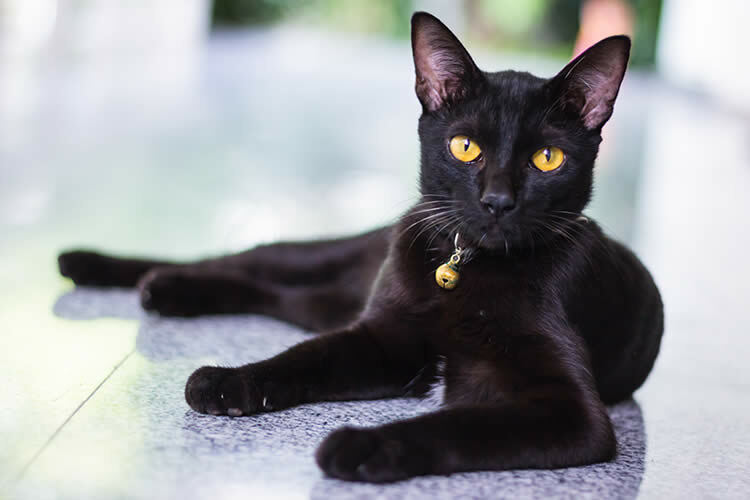 While there may be a grain of truth in these stories, they have been soundly debunked by the cat community – professionals and laypeople alike. Put a bowl of milk in front of any animal and that animal will consume it entirely. The origin of this myth is a combination of real life and media influence. Before cat food became commercialized, people fed their cats table scraps and saucers of milk. Additionally, old cartoons from the first half of the 1900s routinely depict cats lapping milk. Although cat kibble may have been available in the first half of the 20th century, it was not as widely used as in the second half. The only cats who should be drinking milk are nursing kittens. Kitten formula uses cow’s milk, but it is fortified and processed specially for them. Otherwise, milk is generally seen as an unhealthy addition to a cat’s diet. A normal housecat is probably lactose-intolerant and milk does not contain all the nutrients a cat needs. Therefore, they are ingesting calories without getting adequate nutrition. This myth is one whose origins are not clearly defined. In my own experience, I’ve woken to find my cat sitting near my head, staring at me intently. This is his way of letting me know he is either bored, hungry, or thirsty. However, I suppose I can see that people a couple of centuries ago may have been a bit perturbed by this characteristic – especially since cats were said to be witches’ familiars. Yet, many animals were said to be witches’ familiars, including dogs! The baby-killing cat is an unfortunate myth perpetrated centuries ago. In the 1700s, a coroner’s report listed a cat as the cause of an infant’s death. While we cannot pass judgment on the knowledge of someone who lived in the 1700s, it certainly is a bit odd that this myth is still somewhat active. I’ve poked around on Google and I haven’t been able to find one instance of a cat killing a baby. There is speculation involving a baby who died in the U.K. in 2000. The mother stated she saw some cat hairs on the baby’s face when she was trying to administer CPR. While this is a heartbreaking tragedy, it cannot be objectively and definitively concluded that the cat suffocated the baby. Cats are quite acrobatic and their slim and delicate bone structure allows them to jump around from platform to platform. People readily assume cats are invincible when jumping, but they can easily be injured if they are pushed or shoved off a surface. When a cat jumps off a chair or table, he is positioning himself to land gracefully. If you observe a cat who is getting prepared to jump, you will notice he is constantly surveying the location he intends to jump to. He is also positioning his paws and body to make sure his momentum will be adequate to cover the distance. If he is unprepared when he is leaves his position, he will not have time to maneuver his body to take the fall. Some myths are just plain nonsense and may harm your cat if taken seriously. Other myths are borne from their snooty personalities. Cats may be slightly snobby, and their neon eyes scrutinize us intensely, but those of us who love them aren’t fazed by their mysterious ways in the slightest. Humans, with their egocentric ways, are uncomfortable with cats’ discriminating natures. Thus, one might conclude that cat myths are a way to subconsciously justify their lack of adoration for us. Live Science: Do Cats Really Kill Babies by Sucking Away Their Breath?